Alice In Wonderland seems to be everywhere I look these days. I often wonder if it’s like those times when you buy a new pco car and suddenly you see them everywhere. Since starting Alice In Weddingland I seem to be surrounded by it all. Even last week at my daughters pre-school they had Alice In Wonderland day. Ahh, I love it!!! So when I found this video I had to share it with you guys. 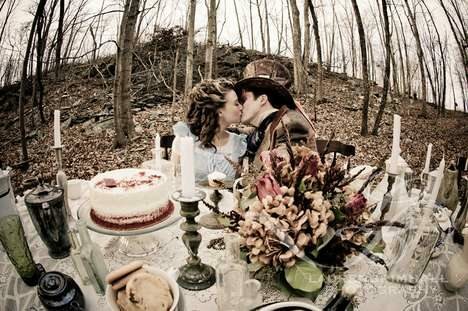 Alice in Wonderland inspired weddings are gaining popularity in the UK and are already very popular in the States and Australia. Now that traditional trends aren’t so popular Brides and Grooms are telling their stories. Nothing delights me more than to see a wedding styled and themed to tell their story; don’t you just feel like you’ve gotten to know them by the end? I won’t bore you again with my dribble about how much I love photography and how much I love in particular wedding and fashion photography (ok rant over 🙂 I promise) but I truly am passionate when I find a good photographer and there is some damn fine photography going on out there! This Alice In Wonderland inspired engagement photo shoot by Lauren Brimhall Photography is spectacular and if your thinking about doing an engagement photo shoot, I really hope you watch this video and grab some really cool inspiration. Couples now have the opportunity to have beautiful, fun and personal imagery before the big day too not just on the big day. And here is a great example of what your engagement shoot could be like if you fancy a bit of Alice In Wonderland inspiration. I think engagement shoot photos would be brilliant as a montage video show at the reception. Wait till you see the grooms suit! Frabjously dapper! So, what did you think? Did you love the grooms suit? 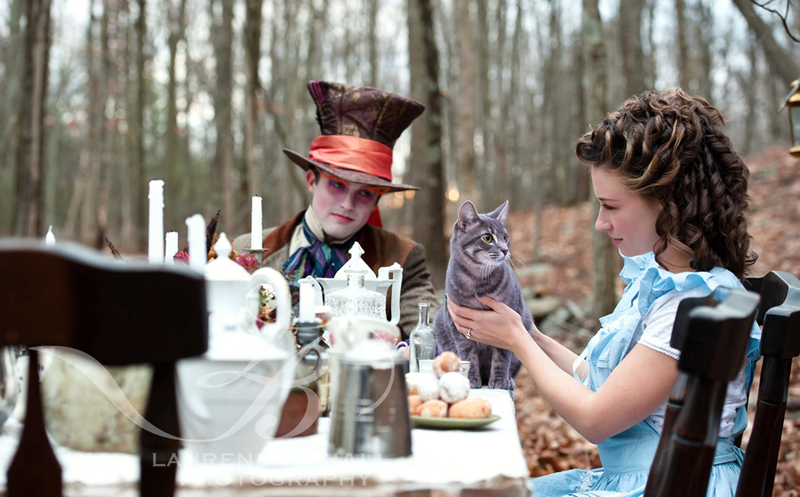 Have a nosey at the pictures from the Alice In Wonderland inspired engagement shoot and do check out Laurens blog here. Then you can at least sit with a cuppa or glass of vino and cruise through them.